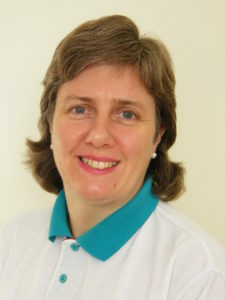 About me: Julie Nicholls, Therapist, helping Swindon people for over 25 years. Although this page is about me, sessions are all about helping you! Conventionally and Complementary Therapy trained, I provide care that encompasses physical, mental, emotional and spiritual needs. Since 1993 I have helped people, just like you, ease their pain, relax and feel well again from a professional and quiet environment in Swindon, Wiltshire. I am available for individual sessions, talk-demonstrations, presentations, classes and workshops. This will depend on what you want. I am here to help you feel better so you can make your goals, dreams and aspirations come true, faster and more easily than you imagine! Getting or keeping you healthy or well enough to be able to do what you want/need to do. Removing fears, blocks and limiting beliefs and giving you the confidence you need to go forward. Helping you gain clarity as to how you might go forward. Giving you tools and tricks so you can keep going on your own when you feel ready to go it alone. I generally allow 90 min to 2 hours per session. This gives me time to take a full case history, and fully understand what you need /want from the session(s) as well as have time to give a full treatment. This will involve helping you understand how you might be able to help yourself. The most important part of what I do is empowering you to help yourself. This is what differentiates me, from the many therapists who are happy for clients to keep coming back, with the same problem, over and over again. I want clients regain their sense of wellbeing and know how to reproduce all the benefits of the treatment, whenever they need and wherever they are. This means clients often don’t need to see me as frequently as they would other therapists, as they soon become better able to help themselves. Therefore, the treatment – which to some, may seem more expensive initially – is very cost effective and if you choose a programme, it has a money back guarantee too. “Since seeing Julie, I feel I have achieved a great deal and I am beginning to realise what has been happening to me over many years. I have been inspired to explore new things and have come to terms with my mother’s issues. My breathing is better and walking is easier, through improvements in my feet and fitness levels. After qualifying as a nurse I was disheartened as felt a holistic approach to care could do more to improve patients’ health and well-being, so I re-trained and this is my journey so far. 1989 Nursing degree in Belgium. I then sensed the need, not just to fix people, but to help them learn ways to avoid getting pain in the first place. In 1997 qualifying as a Trager ™ Practitioner enabled me to do just that. 2002 Trager Mentastics ™ leader and Time power® training. I am member of the LCSP Register of Remedial Masseurs & Manipulative Therapists and abide by their code of professional conduct. As a life member and licensed associated practitioner of Arthritis Action I am able to recommend and help with their self-help management programme. For a while, I volunteered as a therapist for the National Phobic Society now called Anxiety UK. I was also involved in a research project with Coventry University, teaching parents to massage their disabled children. Workshops and courses to help me meet my clients’ needs more effectively. Topics have covered areas such as trigger points, the jaw, counselling skills, using herbal remedies, personal development, Louise Hay, the work of Byron Katie, Coaching and mentoring, positional release therapy, muscle energy techniques and orthopedic massage with myofascial release etc. 1994 Young Business of the Year award (Wiltshire winner). 1996 Wiltshire Business of the Year award finalist.